When I was pregnant with my daughter in 2003 I was not a personal trainer. I was an active runner who I like to describe as overly cautious and under-educated regarding prenatal fitness. I abandoned all activity, overate, and managed a reasonably healthy pregnancy with lot of aches and pains. Following a reasonably uncomplicated delivery I worked hard in the following months, doing pilates, yoga and 5K running. 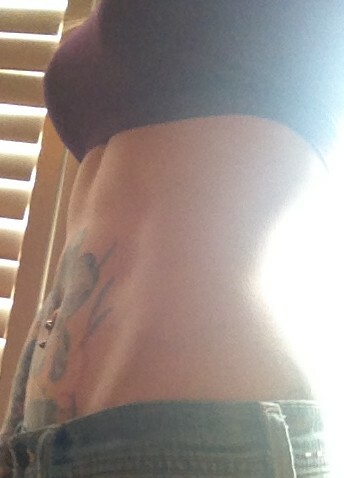 By 9 months postpartum I was back to my pre-pregnancy weight, feeling pretty good about myself. I certainly was not back to my pre-pregnancy fitness level though! I had lost a ton of conditioning in the year I was pregnant. My hips were very tight and sore for years postpartum. I suffered a diastasis recti without realizing it. I suffered occasional stress incontinence. In 2007 I trained for an ambitious half marathon and completed in a time of 1:47:43, which for my first race ever was astounding! Fast forward to 2009. I was then a personal trainer and pregnant again. Determined to have a more fit pregnancy, I committed 110% to my modified prenatal program and trained until the day I delivered my baby boy. The differences in these 2 experiences were incredible. I had no aches and pains, I felt more empowered for the delivery; I felt stronger and more in control. In 2010 I worked incredibly diligently on restorative core to reclaim my body! At 12 months postpartum I had surpassed my pre-pregnancy fitness level and began the journey towards being in the best shape of my life! I move forward with a rehabilitated functional core, no aches and pains, and a new connection to my postnatal body. In 2015 I finally saw a pelvic floor physio and was assessed as having a grade 1 pelvic floor prolapse- I have been successful in stabilizing and managing this without symptoms, while still running and weight lifting. If you want results like mine, train with me!